The fruit and vegetable juice market is expected to grow exponentially in the coming years. A Tetra Pak pastueriser. Credit: Tetra Pak. According to a 2018 report from Grand View Research, the global fruit and vegetable juices market is expected to be worth $257.17bn by 2025. A need to increase fruit and veg intake, the introduction of new blends and rising disposable income are the foundations of a ‘juice revolution’ among consumers. However, juice producers are continuing to face challenges in what experts claim is one of the most competitive sub-sectors in the beverage industry. These challenges include the implementation of sugar taxes, as well as increased pressure from consumers and governments to ensure products are sustainably produced and environmentally friendly. Food and beverage giant Tetra Pak has been at the forefront when it comes to boosting efficiency across the food and beverage industries. Recently the company undertook new research to revolutionise the production of juices, nectars, still drinks or teas (JNSD). It has done this by forging an entire new vision of JNSD production – one where the usual energy and water demands of the pasteurisation process are substantially decreased. 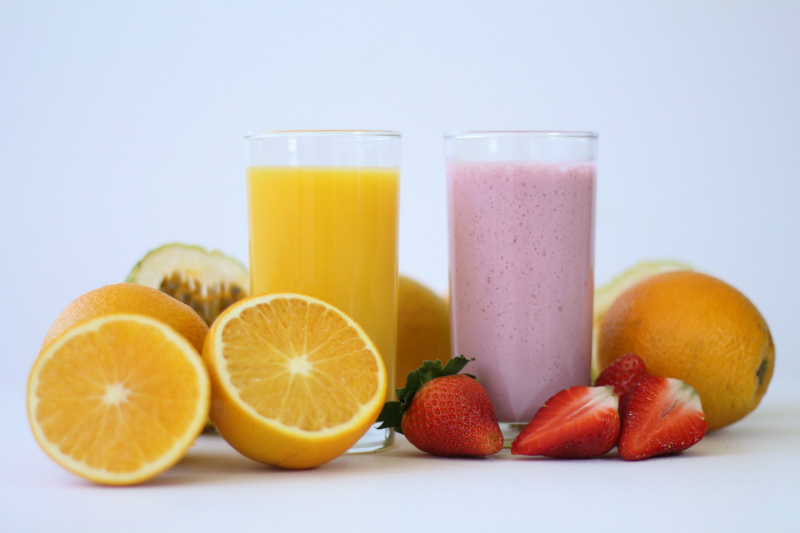 Pasteurisation – the treatment of beverages with mild heat to eliminate pathogens – is commonly performed in juice production. According to Tetra Pak, most juice lines today blend ingredients with water to provide the final beverage before this is sent to the pasteuriser for heat treatment. 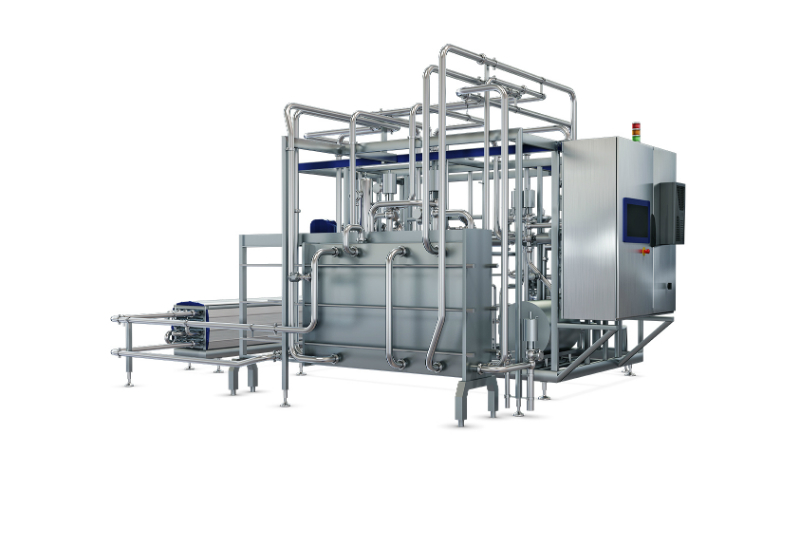 However, treating entire beverage volumes in this fashion requires large amounts of energy even by the standards of modern, efficient pasteurisers with inbuilt heat recovery technology. Large losses are suffered every time a product change is required on the line – particularly with larger batch volumes – as cleaning the system requires additional energy, water and other resources. Tetra Pak’s approach in its latest study was to split the JNSD production line into two separate streams; concentrate (juice + water) and water. Because water is a clear liquid, it can be treated using UV light treatment or filtration – two low-energy methods of purification facilitated by existing technologies – before being blended with other beverage ingredients. Norlin says that using the new line, companies would be able to increase their profitability and sales while minimising cost, spending less energy and less water. Pilot studies carried out across nearly 8,000 juice packages found that water consumption was estimated to decrease from 96,000l a week to 48,000l in the same period. In the pilot studies, researchers found that the new JNSD line solution reduced overall energy costs by around 67%, with waste during cleaning stages reduced by about 50%. The tests also found that objectives on food safety, operational costs and payback time on investment were either met or surpassed. Norlin says that they are now actively seeking beverage producers who want to test the low-energy JNSD line concepts in their own plants with their own beverage formulations. Norlin contends that the JNSD line is an example of how proven technologies can be used to help solve problems caused for producers, and that this is a boon in a ‘conservative’ industry which has seen industrial practices built up over decades to ensure product safety and efficiency. She says Tetra Pak aims to continuously innovate, but often ‘small innovations’ based on already existing solutions can be the best way forward. Competition is still raging, and driving for more variety in drinks should be producers’ main aim. Norlin also makes clear that natural JNSD beverages that provide functional benefits will become increasingly important for drawing in consumers. Producers of pasteurised juices also need to ensure that their drinks stand out in comparison to cold-pressed juices, which typically are made of natural fruit and vegetable extracts and processed using high pressure processing technology. Because these products are usually not exposed to heat or oxygen, considerably less nutrients and vitamins are lost during processing (although the final products tend to have a much shorter lifespan). Norlin says that securing energy efficiency and reducing water usage will be the major challenges for the juice industry, but that it can be a “paradox” having efficient production solutions without compromising on flexibility. Personalisation and sustainability will be other major considerations for the future. By any stretch, it’s not going to be easy.